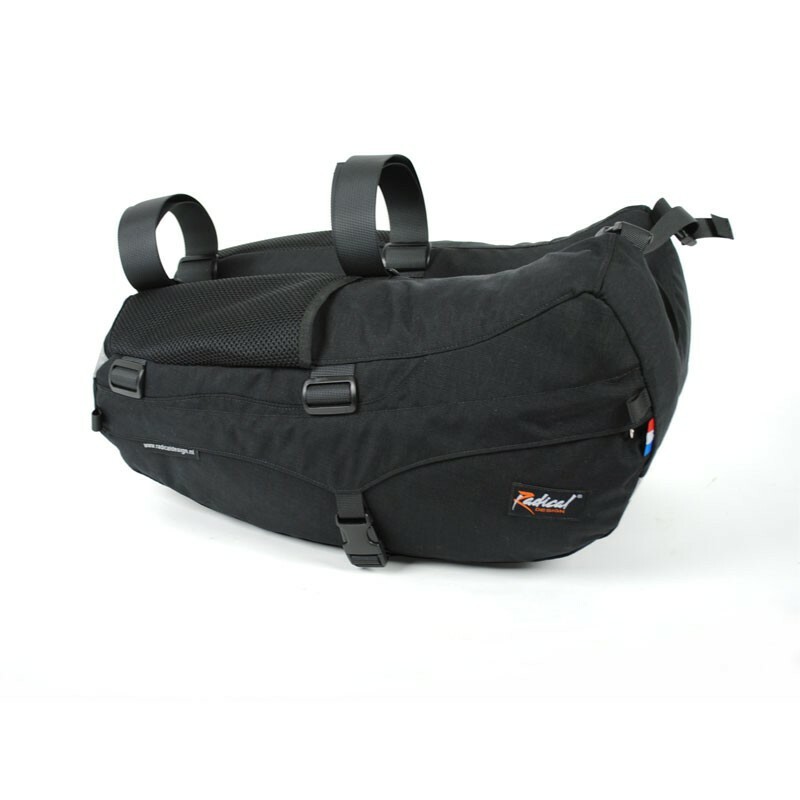 I strongly recommend the bags made by Radical Design (“RD”) (sold in the USA by New York City Recumbent Supply) because they are lightweight, high quality and many models don’t require racks. 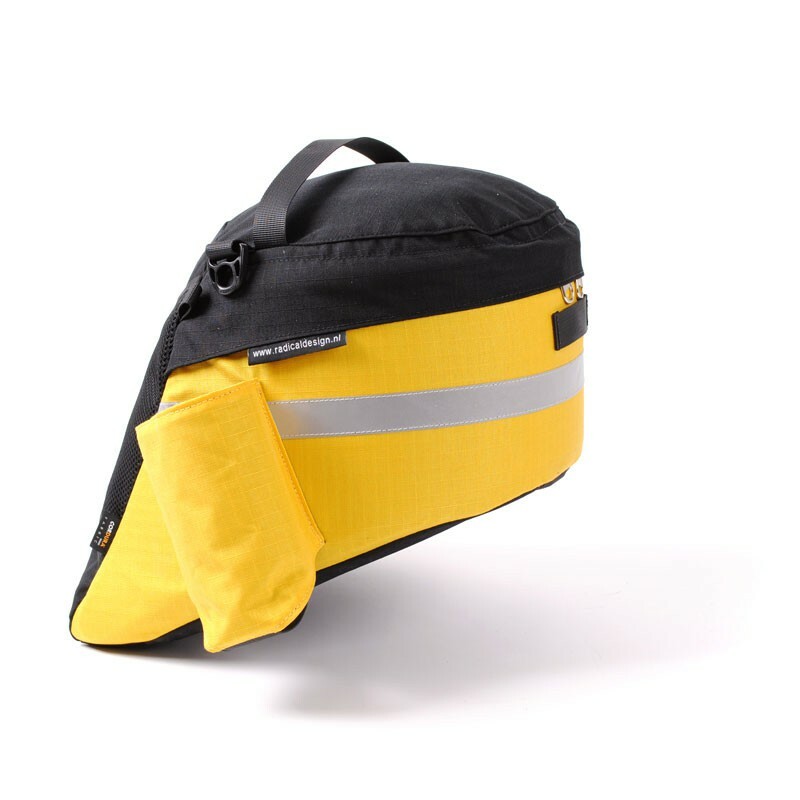 Radical Design bags are also an inexpensive solution because the rider needs only buy the pannier bags and not a rack plus bags. That quality also lowers the overall weight of the luggage system (bags alone are lighter than bags plus rack). 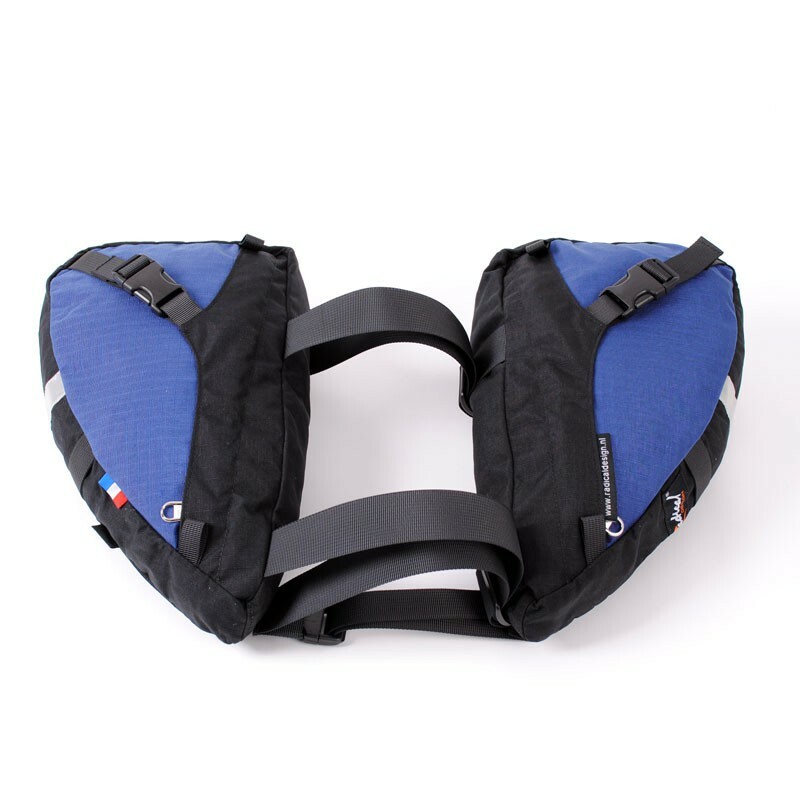 RD bags may be layered for maximum carrying capacity because they’re made of flexible Cordura(R) nylon and many of the bags don’t require racks. Radical Design bags work well on Cruzbikes but it’s not always obvious how to mount them to the bike. I maintain this post as a running entry, updating it when I have new information. Be sure to check back from time to time. Also, this blog post has good information about attaching panniers to a Quest. Similar strategies apply for the Silvio and Vendetta. Cruzbike Quest 20 with Radical Design Banana Racer below seat and Solo Aero on back of seat, totaling 37 liters of carrying capacity. Note: Solo Racer in both wide and narrow sizes fit equally well, though imperfectly, at top of seat on Sofrider, Quests and Silvio. The wide fits outside the seat cushion and may sag a bit. The narrow fits under the seat cushion and rides a bit high. Both work. Available in “wide” and “narrow” depending on seat width. Solo Aero wide (12 liters capacity). 5 colors available. Requires removal of the Quest 20 or 26’s rack. “Wide” and “narrow” both have 12 liters capacity. Manufacturer’s info. Universal Racer (10 liters capacity). 5 colors available. Solo Racer works too (size wide for bottom of seat, size narrow for top of seat).”Wide,” “narrow” and “universal” all have 10 liters capacity. Manufacturer’s Info. 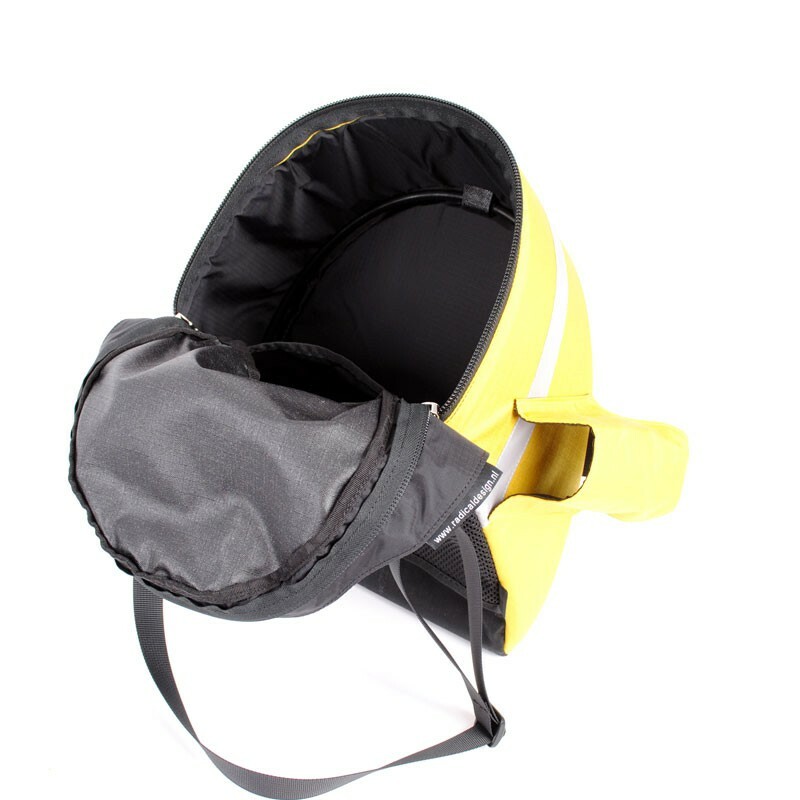 Possibly my favorite Radical Design bag: the Banana Racer (25 liters capacity). 5 colors available. Manufacturer’s info. Solo Racer, narrow, at top of seat, under seat cushion. Solo Racer, wide: fits both at top of seat over seat cushion and at base of seat, at the seat pan, as a tiny rack-free under-seat pannier. Solo Aero narrow fits at top of seat, but, due to the rear suspension, can come very close to the wheel, especially if heavily loaded. Solo Racer, narrow, at top of seat. Solo Racer, wide, at top and bottom of seat. Universal Racer, anywhere on seat. Solo Aero, wide, at top of seat. More photos from our friend in England. Additional straps were added and threaded above and below the seat pan on this Vendetta with Banana Racers. Clever. Provides very secure attachment.